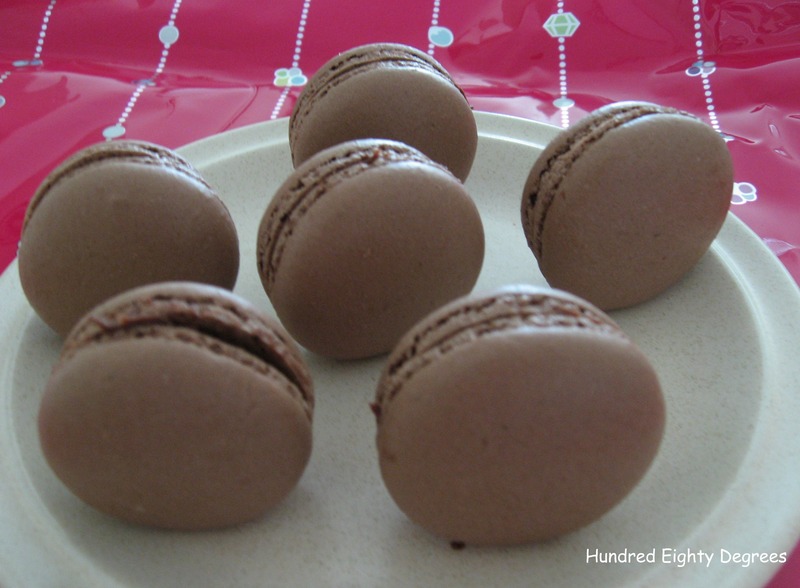 180daughter has been asking for macarons. She loves macarons! I have to hide some away, hoping to save them for Alicia. 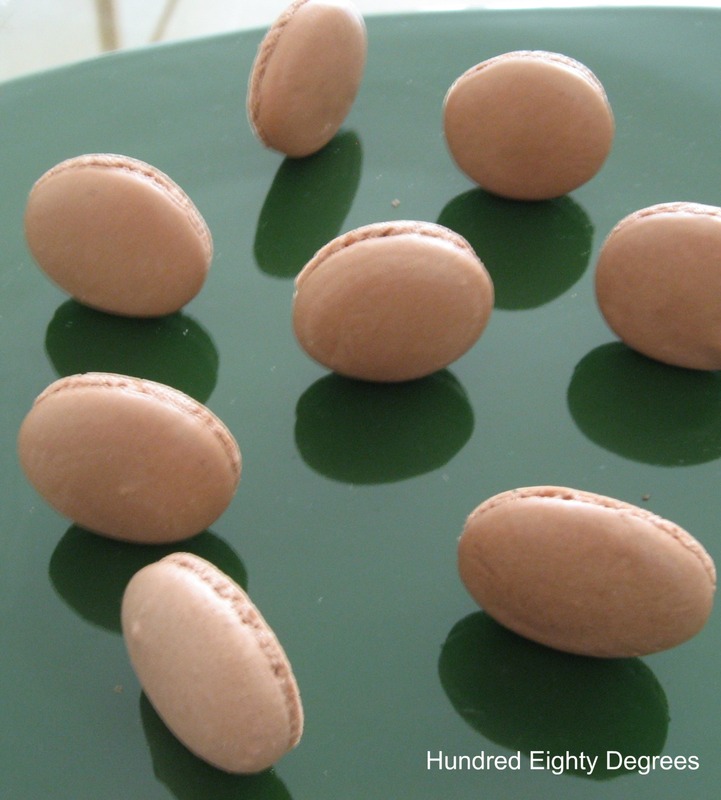 Beautiful macarons, smooth and shiny shells, doomed top and dainty feet, they are lovely! 1. Mix almond powder, icing sugar, and cocoa powder until well combine. 2. Whisk egg white using medium speed ( I whisk at low speed, and gradually turn to medium speed ) until foamy, add in half of the caster sugar and continue to whisk at medium speed. 3. Add in the remaining caster sugar when the foam bubbles become fine, whisk at high speed until stiff and shiny peak forms. The whole whisking process should be at least 8-10 minutes. 6. Transfer the batter into piping bag fitted with 0.5cm round tip ( I will use a bigger tip next time ). Carol’s tips : To prevent batter from dripping out from the pipping bag while pouring the batter, use a laundry clip to grip the pipping bag. If you do not have a helper to hold the pipping bag for you while pouring the batter, stand the pipping bag in a cup. 7. Line the baking tray with parchment paper. 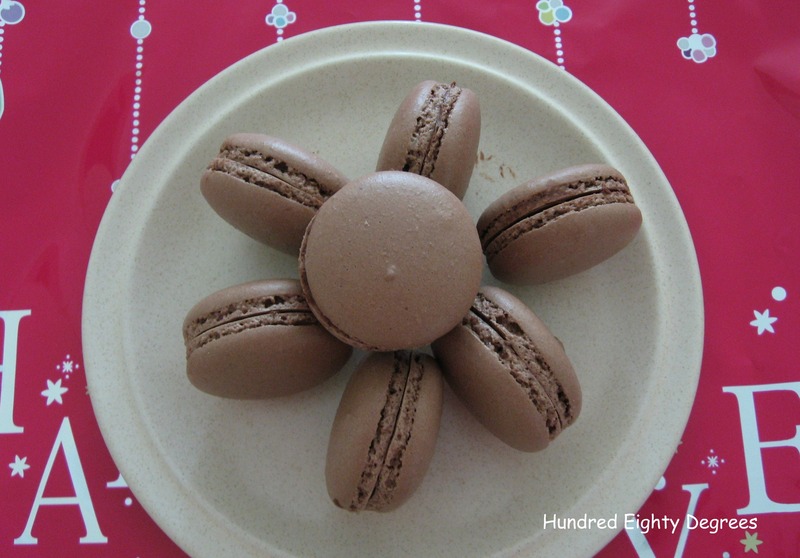 Place the macaron template below the parchment paper, pipe batter using the template as a guide. 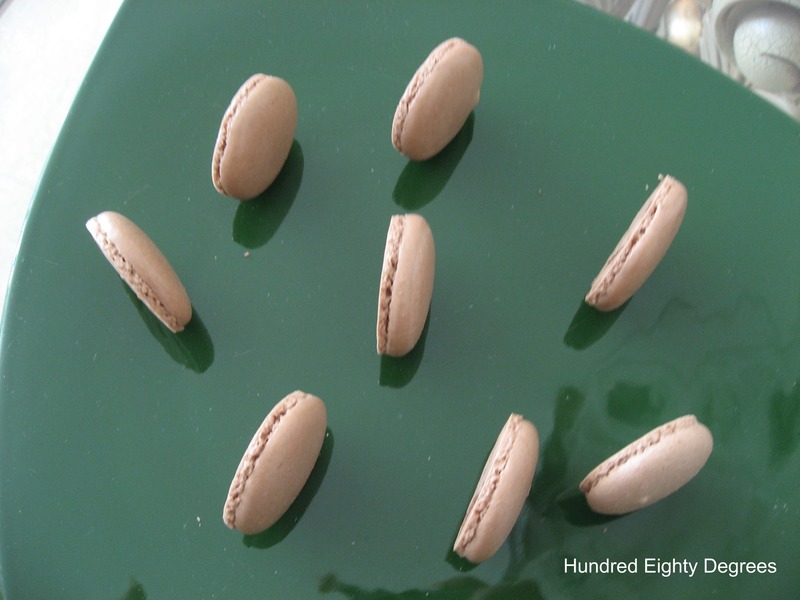 Once complete, remove the macaron template slowly. 8. Use toothpick to carefully break the large bubbles on the piped batter. 9. Set the piped batter aside to let it rest at room temperature for 15-20 minutes. 10. 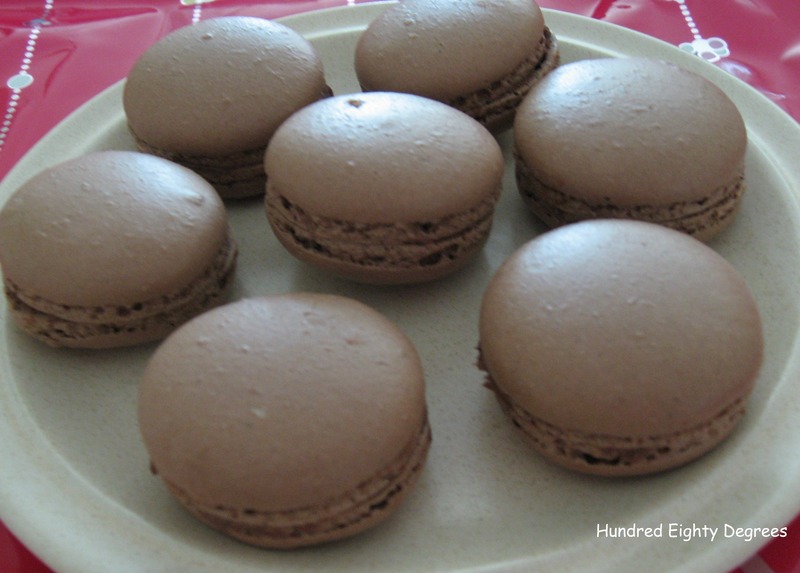 Preheat oven to 200C, slide the tray of macarons into the oven, turn off the heat immediately and keep the oven door ajar with 2 thick gloves place in between, for 6 minutes. 11. Once the 6 minutes is up, close the oven door. Turn on the oven heat and bake at 140C. 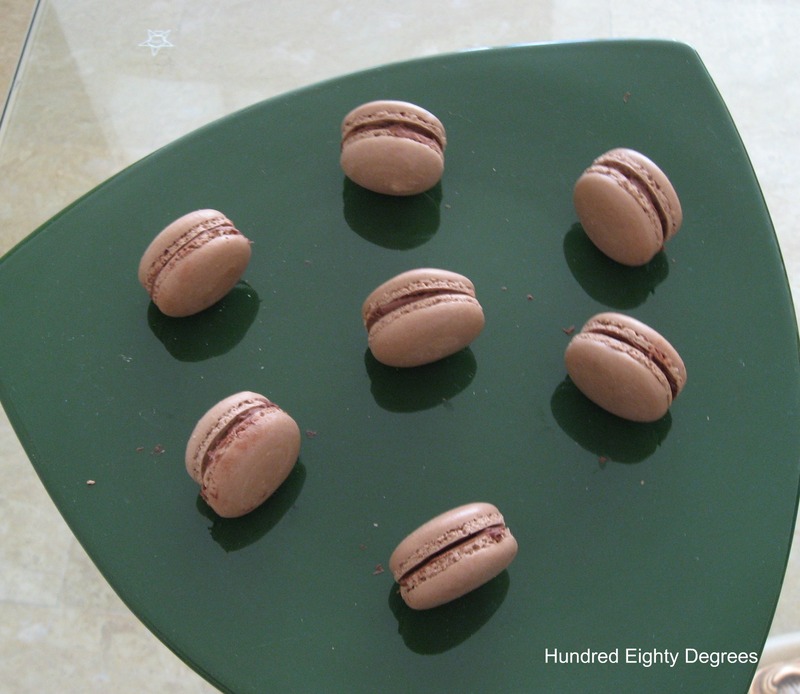 Once the macarons start to expand and feet appear, reduce the temperature to 120C immediately, bake for 12 minutes. 12. 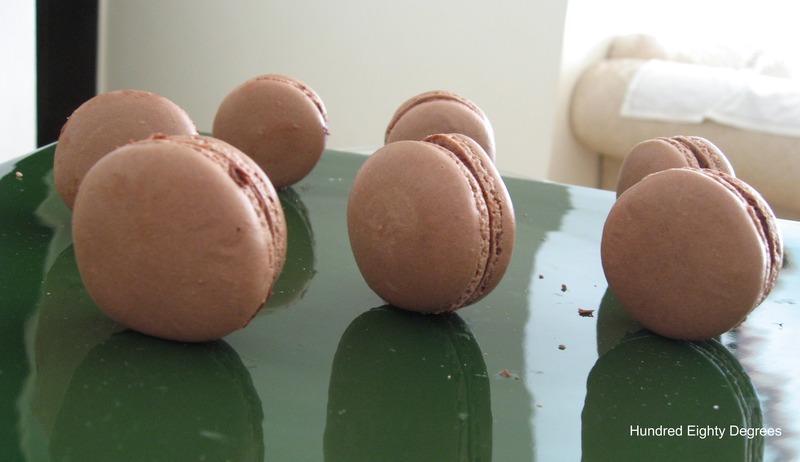 Turn off the oven heat, leave the tray of macarons inside the oven with the door closed, for 6-10 minutes. 13. Remove from oven and let it cool completely before removing from the parchment paper. 14. For subsequent trays, make sure your oven is preheat at 200C. 15. Fill with fillings of your own choice & keep in airtight containers inside the fridge.